Line B is similar in concept to Line A. 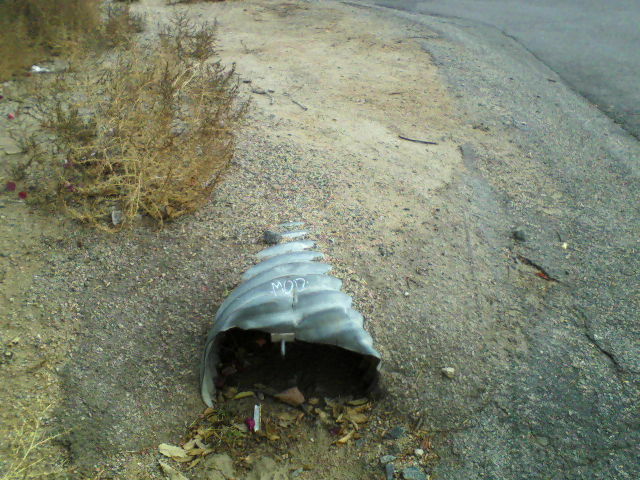 The runoff tributary to it passes under the Freeway in a 42 inch Corrugated Steel Pipe (CSP) culvert and then flows in a natural watercourse to Lakeview Terrace. At this point, as in Line A, the 10 year flow of 45 cfs (cubic feet per second) is picked up in a 24 inch diameter RCP storm drain that runs down Elberta Road. This is located on the northeast corner of the intersection of Elberta Road and Lakeview Terrace. One can’t help notice that the Reinforced concrete pipe (RCP) has morphed into Corrugated Steel Pipe (CSP). In most parts of the world this would be a step backwards, apparently not in Wildomar. The above pipe exits approximately 80 feet away on the other side of Lakeview Terrace. The existing open channel, Elberta Road. 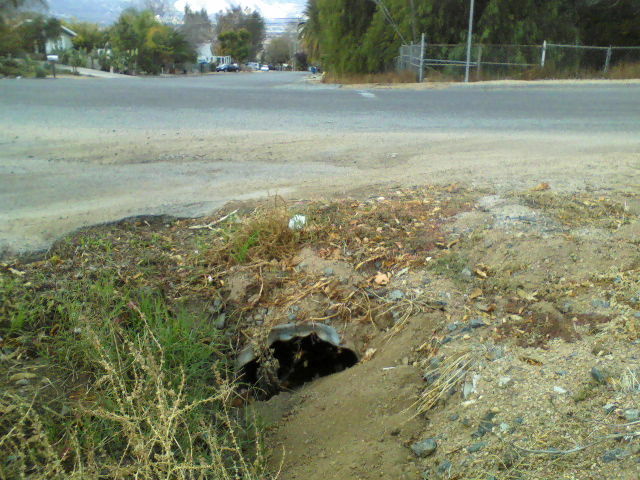 As the slope of the road begins to decrease just upstream of Mission Trail, the drain increases to 30 inches in diameter. 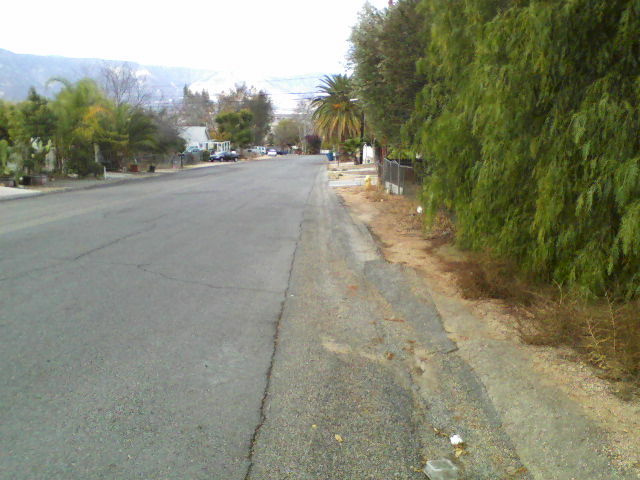 Again, as for Line A, the balance of the 100 year peak flow is picked up in catch basins just upstream of Mission Trail and the entire flow is conveyed under the roadway and released into the open channel portion of Line B. This channel, a concrete lined V-section, 3 feet deep, will carry the 100 year flow of 75 cfs, approximately 200 feet to the outlet at 1260 feet elevation.